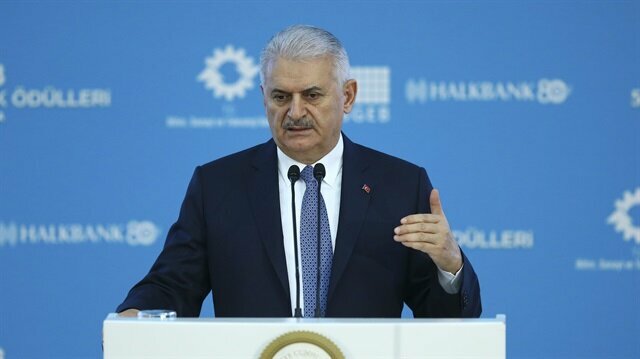 Turkish Prime Minister Binali Yıldırım said on Friday his country’s ongoing military incursion into Syria was about defeating terrorist threats in general and was not limited to the region of Afrin, Islamist newspaper Yeni Şafak said. “No days or deadlines are on the table. Thinking of limiting this operation to Afrin is not on the table,” he told a graduation ceremony at his country’s National Defence University. Turkey, he said, was paying the heaviest price for the lack of effective authority in neighbouring Syria. “Our struggle in the Afrin region today is not solely to secure our country’s borders: at the same time it is to protect our citizens’ lives and property, and beyond this to save the innocent people living in the region, in Syria, and in Iraq from the oppression of that terrorist group,” Yıldırım said. BaÅbakan Binali YÄ±ldÄ±rÄ±m Milli Savunma Ãniversitesi'nde dÃ¼zenlenen mezuniyet tÃ¶reninde yaptÄ±ÄÄ± konuÅmada 'Bu harekatÄ± Afrin'le sÄ±nÄ±rlÄ± dÃ¼ÅÃ¼nmemiz de sÃ¶z konusu deÄil. Nerede bir terÃ¶r tehdidi varsa, orasÄ± bizim iÃ§in bir hedeftir' dedi.